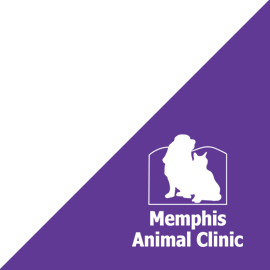 Memphis Animal Clinic is a veterinary hospital providing personalized veterinary services, boarding & grooming to meet pet owner's needs for dogs, cats and pocket pets. 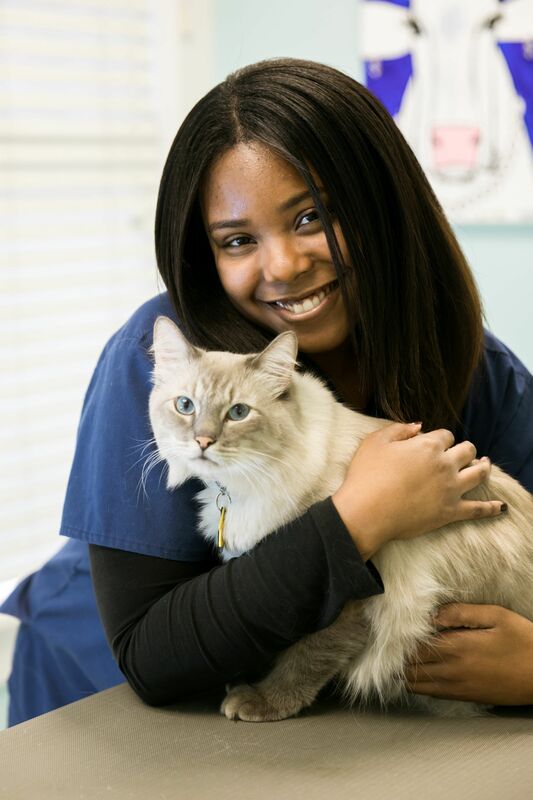 Proudly located in the heart of Cooper-Young community and easily accessed via Midtown Memphis and East Memphis, Memphis Animal Clinic looks forward to meeting you! 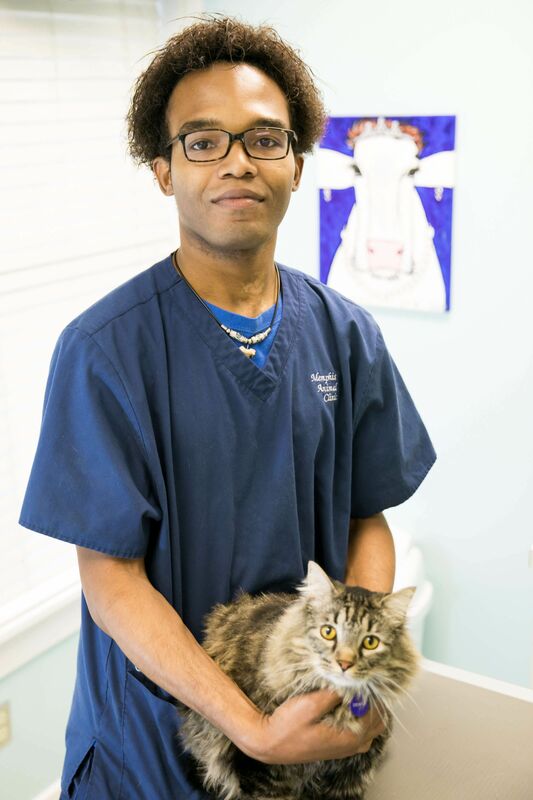 As an American Animal Hospital Association (AAHA) accredited hospital, pet owners gain peace of mind when they choose Memphis Animal Clinic, because they know our AAHA-accredited vet hospital has passed the highest standards of veterinary care. We can't wait to meet you! Existing and new clients can schedule an appointment online. 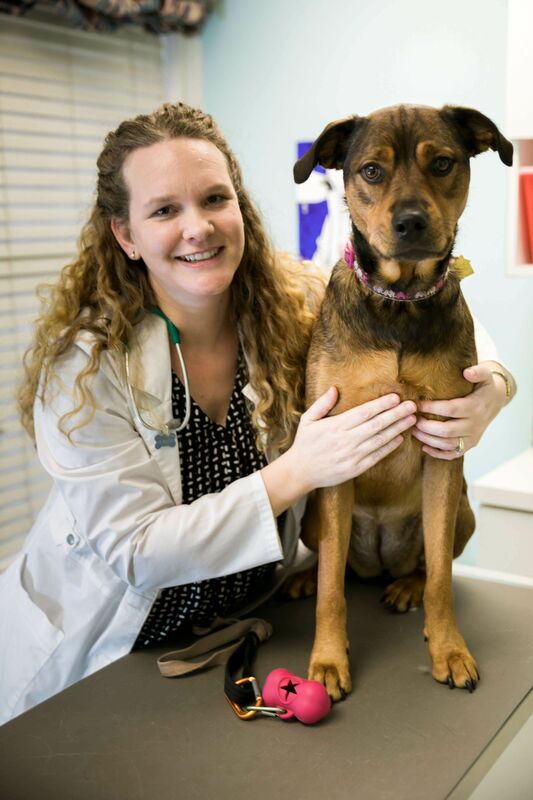 Dr. Kathy Young works part-time at Memphis Animal Clinic as an Associate Veterinarian. 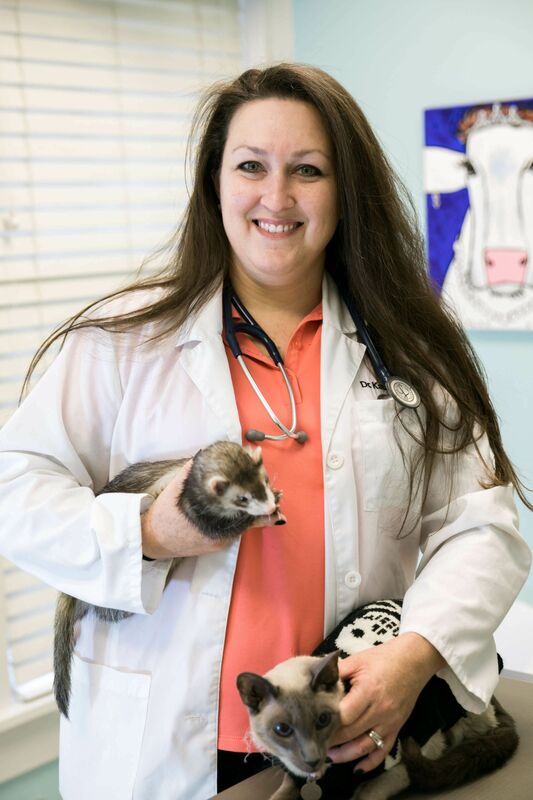 She earned her Doctorate of Veterinary Medicine from Mississippi State University in 2014 and has a special interest in exotic small mammal species. 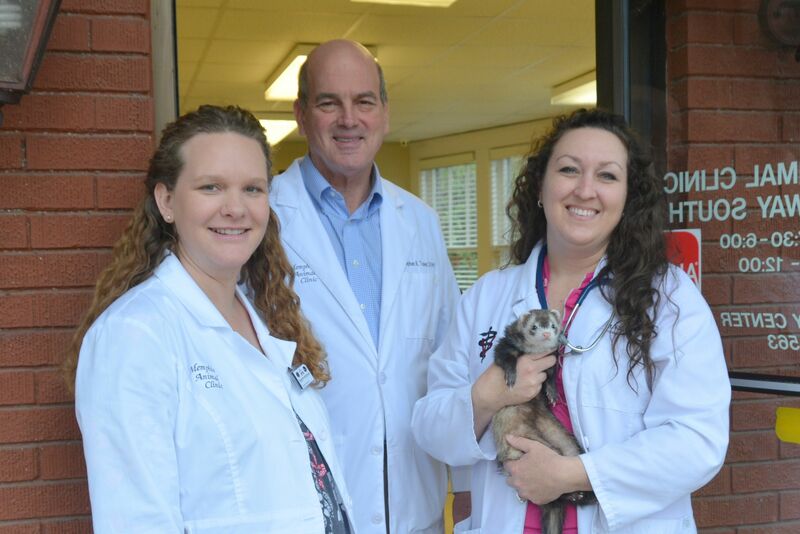 In addition to caring for cats and dogs at Memphis Animal Clinic, Dr. Young welcomes your pocket pets and ferrets. She lives in Olive Branch, MS with her husband and daughter and 3 ferrets, 3 cats, 1 horse and 1 dog. 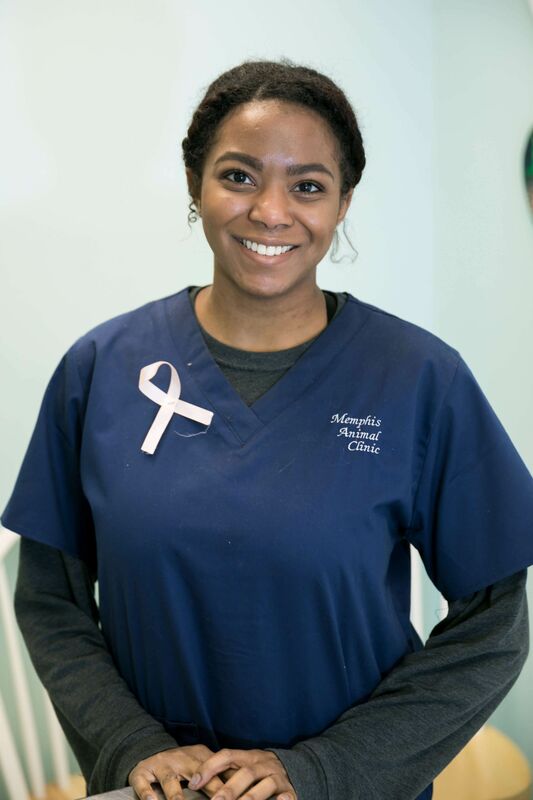 Dana Moss has been working at Memphis Animal Clinic since October of 2014. She has a background in animal behavior and in her spare time outside the vet hospital, she trains pups at Dog Woods Training Center. She lives in Memphis with her Schipperke, Tazz, who competes in obedience trials. She also has a cat, Mandy who lives her life as a professional cuddler. 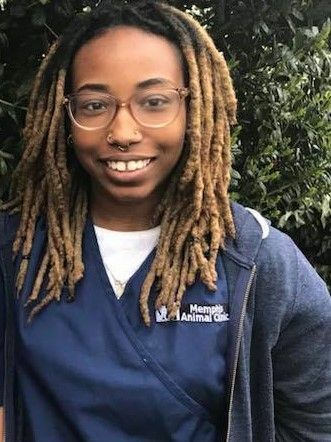 Leah has been working at Memphis Animal Clinic since August 2017. She has a background working with exotic animals and she was previously a zookeeper at the Memphis Zoo. When Leah is not at the animal hospital, she is at the dog park with her rescue dogs Lucy, Aggie, and Murphy. 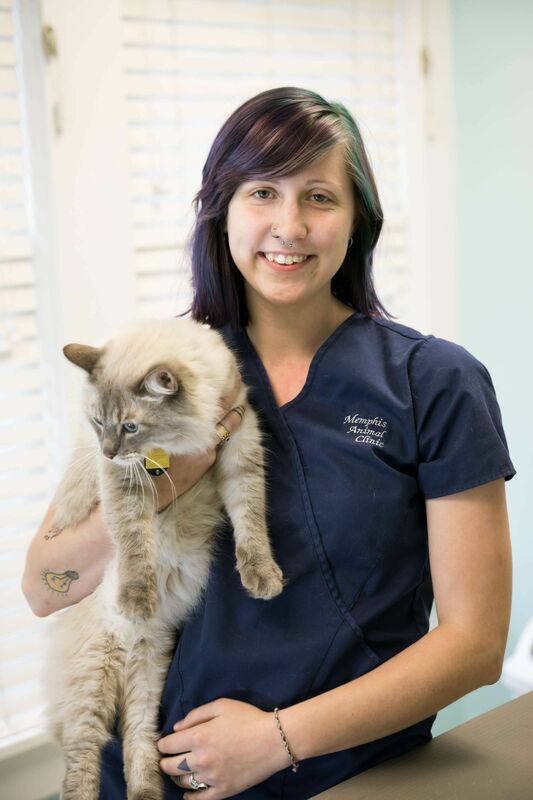 Lindsey has been with Memphis Animal Clinic since the spring of 2015 and is a Licensed Veterinary Assistant. Outside the vet hospital, you can find her on her bike cycling around town. She has many rescue pets of her own on top of the foster kittens she regularly finds. Shelby is a recent graduate from the Animal Behavioral College. She is studying to become a veterinary technician. Tracey is a seasoned kennel technician and currently attending Southwest Community College to pursue a degree in laboratory studies. Stacy joined the Memphis Animal Clinic family in 2018 and manages all aspects of the hospital operations. She received her Associate's degree in Pre-Veterinary Medicine from Northwest Mississippi Community College and studied Animal Biology and Mississippi State University. Stacy graduated from the University of Memphis with a Bachelor's in English and a Master of Business Administration. 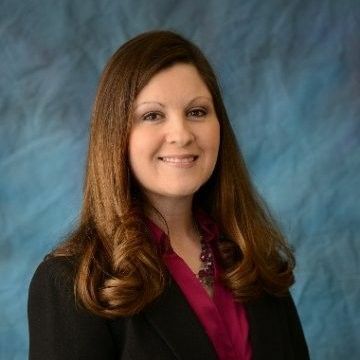 She has over 15 years of experience in employee development, customer satisfaction, organization and financial management and previously worked in real estate and human healthcare as well as working at animal hospitals in Mississippi. 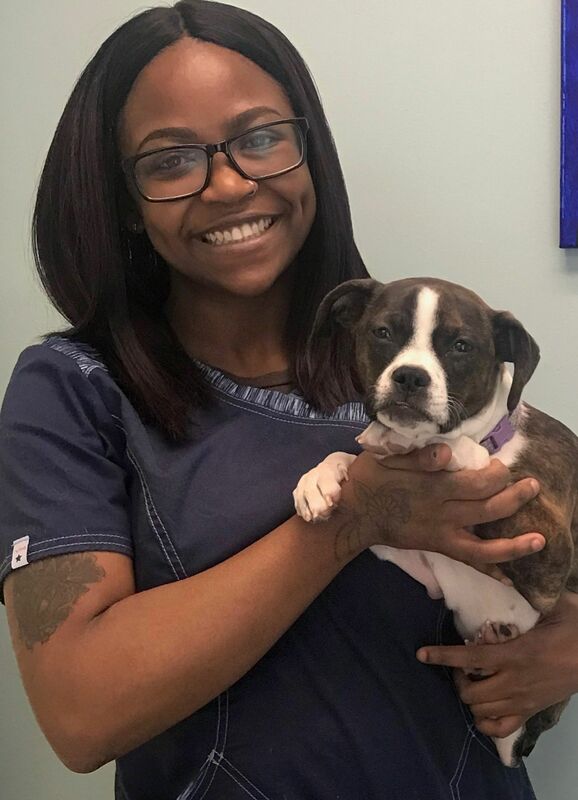 Elizabeth joined the Memphis Animal Clinic family in 2019 as our Groomer. As an avid animal lover her whole life, Elizabeth first began working with animals in 2015. She worked as a pet bather while training to be a groomer at a locally-owned business in North Dakota. In order to continue training, Elizabeth participated in a pet grooming apprentice program through a national pet chain in 2016. 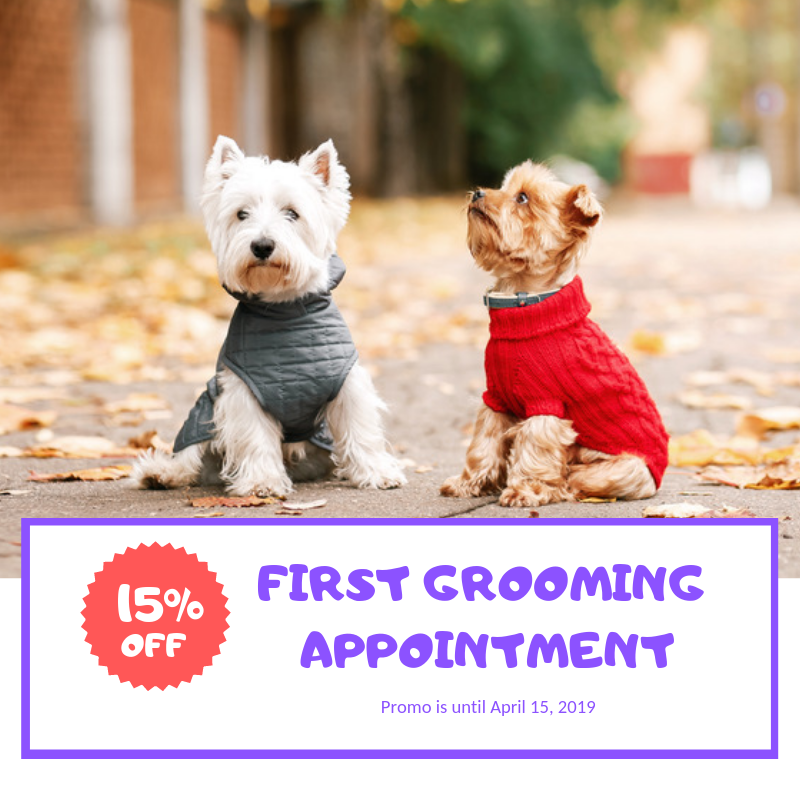 This program trained her in pet safety, pet hair coloring, and breed specific grooms. Elizabeth's promise to her clients is to treat their furry friends like she does one of her four at home, like family. 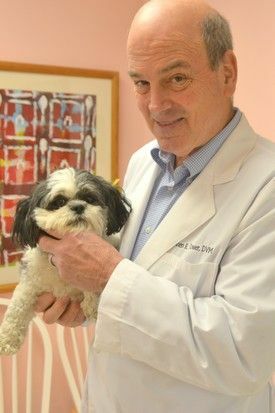 Being the son of Dr. Tower, Memphis Animal Clinic has been a big part of John's life since he was a toddler. 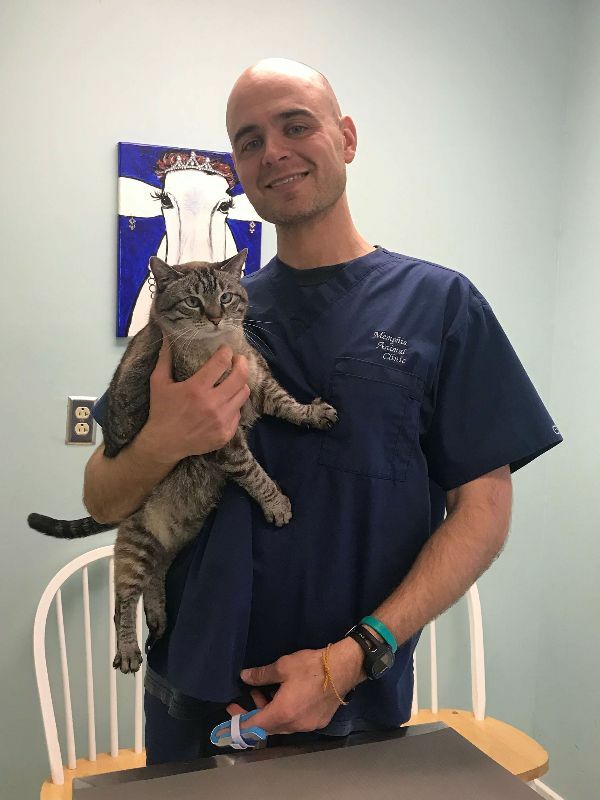 John currently manages the client care experience at Memphis Animal Clinic and enjoys interacting with clients and their pets. When John is away from his work duties, he is working at Dogs Rule Day Care, or walking dogs through his business The Pawsome Pet Concierge. John enjoys coaching track with Blues City Runners Track Club. He also lived in Korea for 4 1/2 years as an ESL teacher and volunteers with The Korean Church of Memphis as well. 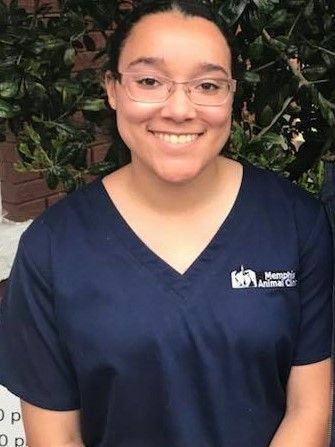 Alina joined Memphis Animal Clinic in June 2017 and is one of the smiling faces that greets you and the friendly voices you hear on the phone. She has always had a passion for working with animals. 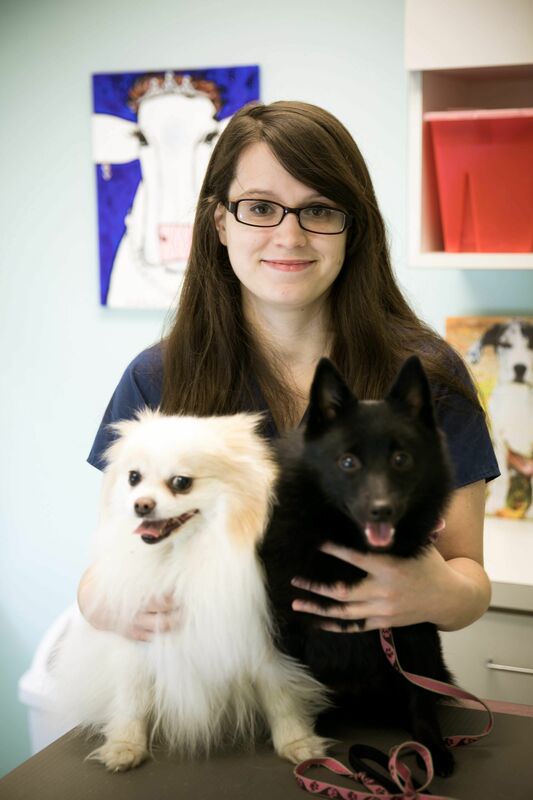 Her passion led her to work here as a client care receptionist and veterinary assistant. 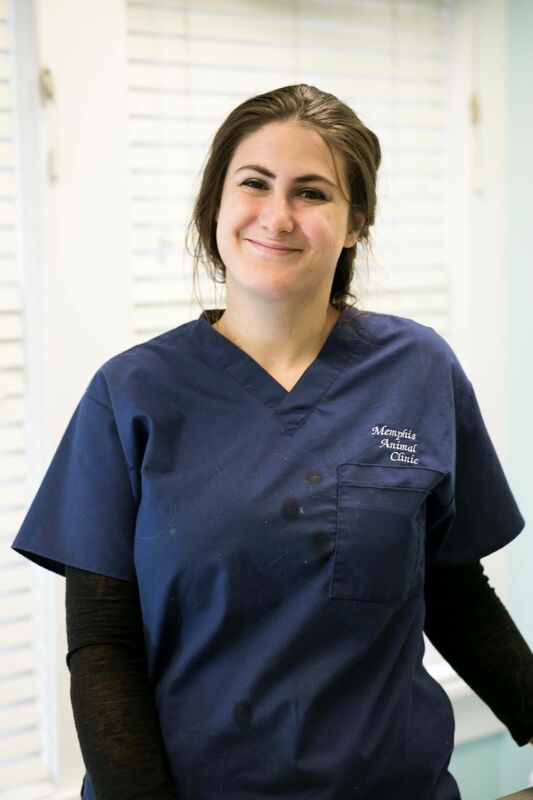 Lauren has been working at Memphis Animal Clinic since October 2017. She has always had a love for animals since she was little, and will soon be going to school to become a Certified Veterinary Technician. Outside of the vet hospital, you can find her at a dog park with her Australian Shepherd, Kai. 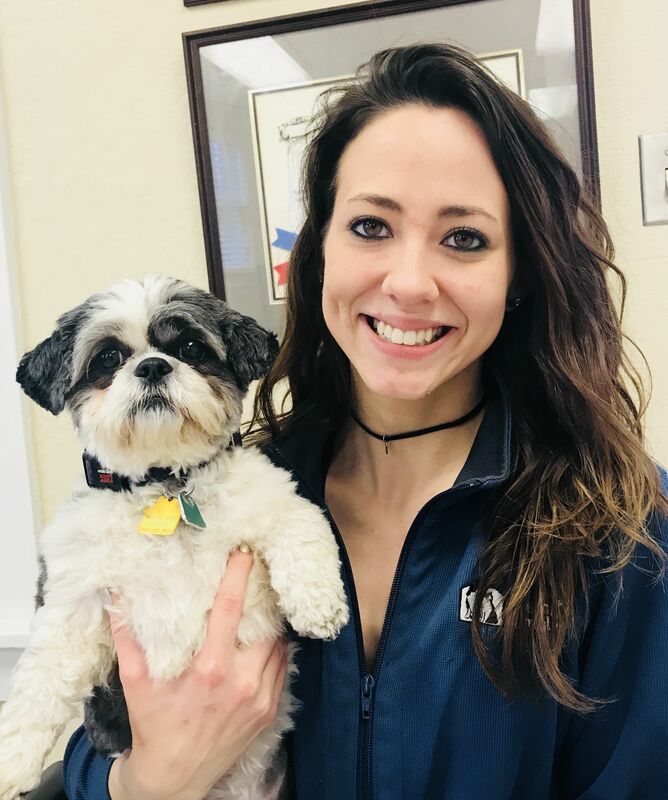 Tori is our Kennel Manager and oversees that all the pets boarding at Memphis Animal Clinic are well cared for and loved! Tori has been with Memphis Animal Clinic since October 2016. Tori has two teenagers and six dogs (oh my). They take up most of her spare time these days. 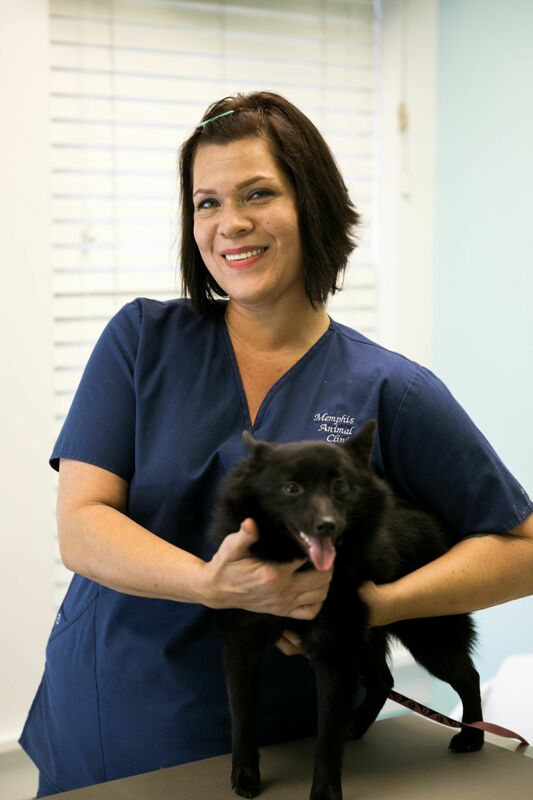 She has recently begun her Veterinary Technician training, so you will find her in many areas of the veterinary clinic these days. She has also received her certification in Wedding and Event Planning, but Tori just happens to love animals so much more. ​​​​​​​Miss Kitty has been here at Memphis Animal Clinic since 2011, when she was abandoned as a one-year-old with a dangling leg. These days Miss Kitty can be seen eaten things she should not be eating, running as you enter our clinic lobby, or just hanging out with our receptionists up front. 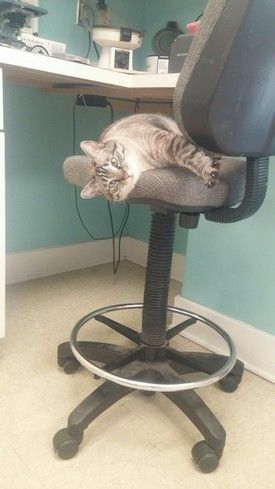 In her spare time, Miss Kitty loves a little toilet water, canned food, treats, a good box, or just napping in the office that Dr. Tower shares with her. Miss Kitty is appreciative of the life she is given here, and we enjoy her fun little personality. 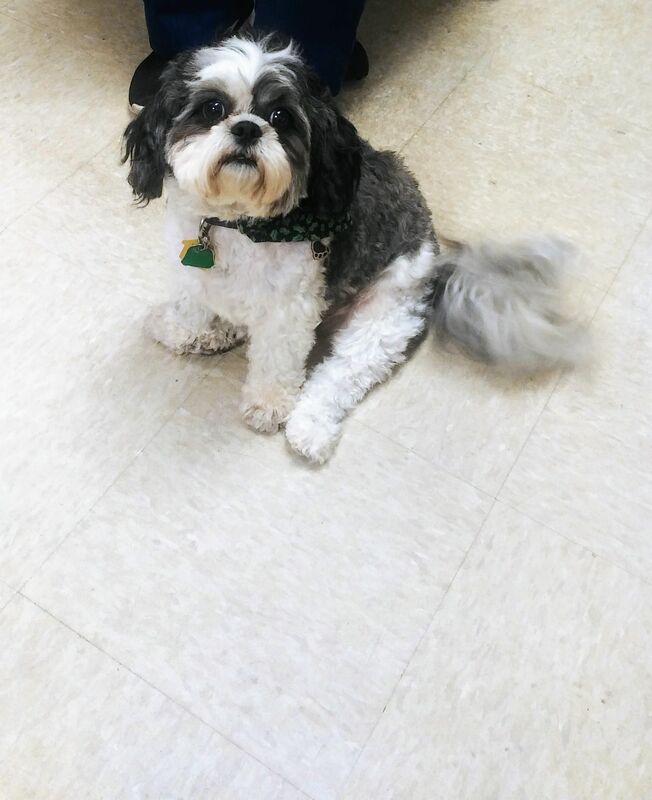 Pebbles has been working as the Memphis Animal Clinic greeter since 2016. Once abandoned as a puppy with Parvo, Pebbles spends her hours comforting clients in our lobby area, begging for treats, and following her human, Dr. Tower around. Pebbles loves her duties here at Memphis Animal Clinic and enjoys being our "mascot". If you're not careful she'll chew at your shoes and untie them.